Triple Creek Ranch offers unique accommodations for discerning travelers seeking a mountain retreat that feels like a private vacation home. Our luxury ranch homes are located a short distance away from the Main Lodge and central resort grounds. These homes feature all of the same luxurious amenities that are found in Triple Creek Ranch cabins, including colossal king beds and private hot tubs, and they receive all ranch services. Guests will need a vehicle to join us in the Dining Room for meals and for transportation to and from activities. Relax on a generous wrap around deck beneath the shade of the Ponderosa and cottonwood trees and let the gentle tumble of the river set the mood for your Triple Creek Ranch vacation. Riverside Cabin makes its debut in Summer 2016. Perched on the banks of the West Fork of the Bitterroot River with an unparalleled river view, this stunning new accommodation is the epitome of rustic elegance featuring two bedrooms, a cozy reading loft, and a spacious deck with a hot tub and fire pit. 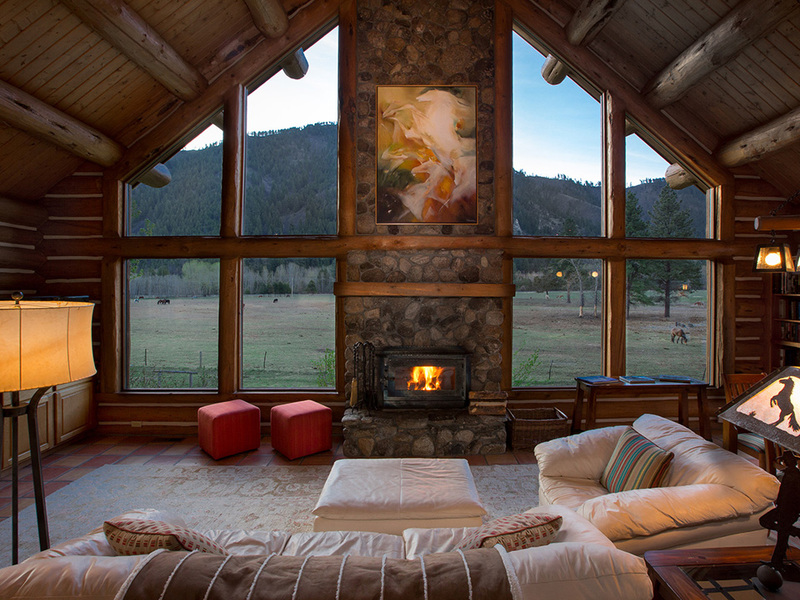 New in Spring of 2015 Triple Creek Ranch introduces Osprey cabin. We have fully renovated a classic log cabin tucked in the Ponderosas, just steps away from one of the best fishing holes on the West Fork of the Bitterroot River. Osprey boasts a large wood-burning fireplace built from river rock and a private hot tub overlooking a creek that lazes its way alongside the cabin. Stage Stop is tucked against the mountain in the lower meadow of Triple Creek Ranch where it is not unusual to see grazing horses, a herd of elk, the resident flock of wild turkeys or a lone wolf. 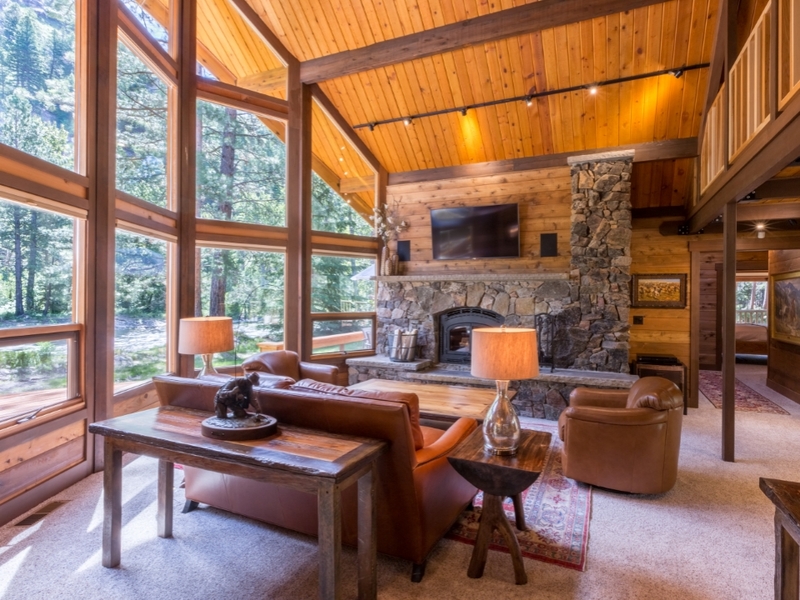 Stage Stop boasts cathedral ceilings with majestic windows in both the living room and bedroom that provide a panoramic view of the meadow and surrounding mountains. Stage Stop also offers a separate, privately accessed loft-style apartment with a king bed and private bath that is ideal for traveling companions.